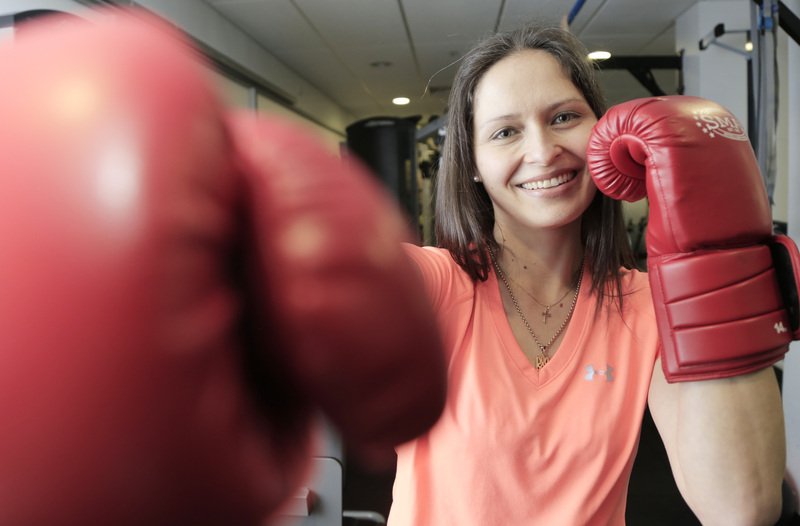 Corporate Communications Policy and Strategic Planning manager Nikki Woloszuk staying fit and healthy in the gym. Fancy some diabetic friendly pear raspberry loaf, chocolate ricotta cakes, low carb potato bake or diabetic friendly chocolate ice cream? For the estimated 1.2 million Australians living with all types of diagnosed diabetes, meal times can be a challenge. However, there is somewhere to turn to, in the form of a blog – the T1 Friendly Foodie – Conquering Diabetic Cravings. That is Nikki Woloszuk, creator of the blog and the author of some really tasty recipes, giving those with T1 diabetes some fresh choices at meal time. “Over the years I learned there’s a lot of food out there I really couldn’t eat,” Nikki told The Pulse. “The reality is, if you are on insulin and you want stable blood sugars, you have to be really careful with what you eat and how much of it. “It got to the stage where I just couldn’t rely on a lot of food products or recipes, I was finding some were labeled as diabetic friendly, but many were really high carb, or still contained high GI sugar products,” she said. Nikki’s diabetic friendly zucchini and raisin loaf. Working in corporate communications at the Western Sydney Local Health District (WSLHD), Nikki put her skills as a Policy and Strategic Planning Manager to use in her own life. Her blog is now a go-to for those with diabetes, looking for some tasty options. There are recipes, great photos of Nikki’s creations and useful articles about food, eating and managing T1 diabetes. “I created the blog in the hope it might inspire people who have diabetes so they can actually enjoy food … you can eat really delicious food, you don’t have to miss out,” she said. Nikki says one of her favourite recipes is her cherry frangipani cake. People can subscribe and there are new recipes every month. Nikki posts content which helps people navigate the world of low carb, as well as nutrition for people with diabetes. “In developing the recipes, I’ve also had to do a lot of research in the health and the food space,” she said. Diabetes occurs when the pancreas fails to produce insulin. T1 diabetes represents around 10 per cent of all cases of diabetes and is one of the most common chronic childhood conditions. There is no cure and nothing can be done to prevent it. According to Diabetes Australia, 280 Australians develop diabetes every day. Chocolate ricotta cakes are also on the list of diabetic friendly treats by Nikki. Nikki was eight-years-old when she was diagnosed with T1 diabetes. “Diabetes is a really challenging disease and you never get a break from it, it’s with you day-in-day-out, every second of every day,” she said. Nikki requires daily injections of insulin and regular blood glucose readings. Growing up in a household filled with the flavours and aromas of European cooking, Nikki has always been a foodie. And she was not going to let diabetes get in the way of her passion for creating and consuming tasty dishes. “You can lead a really happy life with diabetes, you can have really good control, and you can eat really amazingly tasty food, it’s just about how you adapt your ingredients to suit,” she said. Nikki admits her perfect day is one spent in the kitchen baking.